Having a trip in April may not let you down, since this period of time allow you to visit many places throughout the three regions. 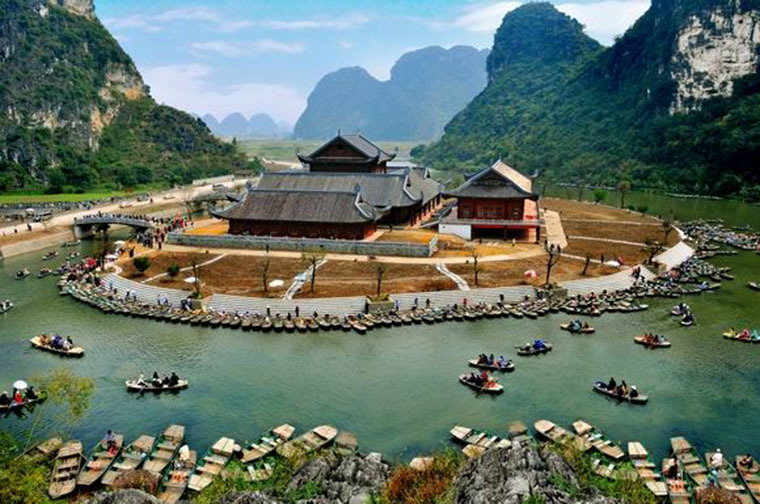 The fine climate of this month is suitable and nice to organize an amazing trip to the charming and attractive landscape of Vietnam. According to airfare trends, Vietnam weather, and peak travel times, we briefly sum up some ideal suggestion for any tourist intend to discover Vietnam in April 2018. 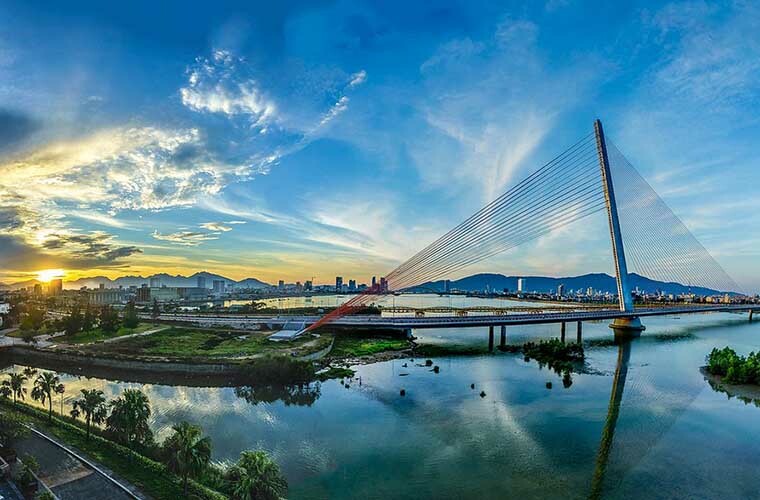 As April is the last spring month, April takes us toward the end of Vietnam’s ease season and starts a hot and humid climate all over the country. Nevertheless, this comes along with numerous advantages associated with low level of tourists. + In the North: The north of Vietnam in April is heading towards its hot and humid summer but it is still enjoyable summer as you can still expect plenty of dry days. + In the Center: Unlike the north, the center still remains constant with the temperature between 25 and 33 Celcius degree, making it is still at the best time for beach activities. + In the South: the rainfall season starts to become more likely in the south but clear dry blue days are more prevalent. What to expect in Vietnam in April? The number of tourists remains low during April, except for the last day of the month. April 30 is one of the most important days of Vietnamese people as it is the celebration of reunification, following by the international labour day. During these two days, the number of tourists may reach a peak. 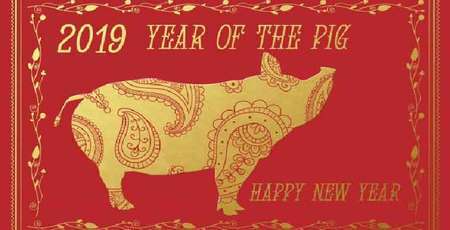 However, if you visit Vietnam during this period, you can expect to join in plenty of events and festival in some big cities. What cities to visit in Vietnam in April? April brings along with warm, pleasant, not too dry and not too cold weather to Hanoi, making it a perfect time to visit this city. 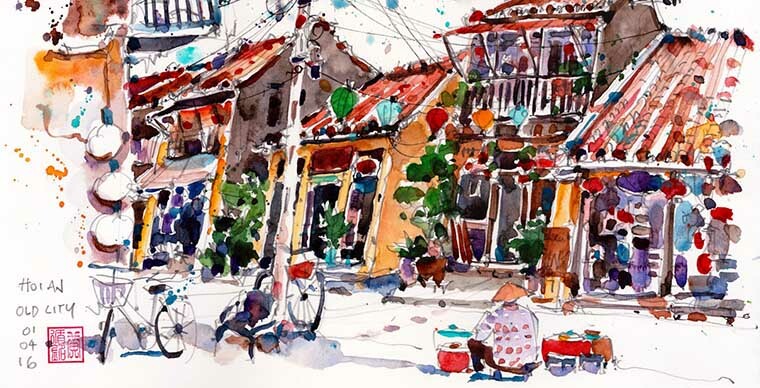 Coming to Hanoi during this ease weather, visitors will be amazed by the amazing ancient atmosphere with sudden feelings, a little love, a little memorable time mixed with a little joy. 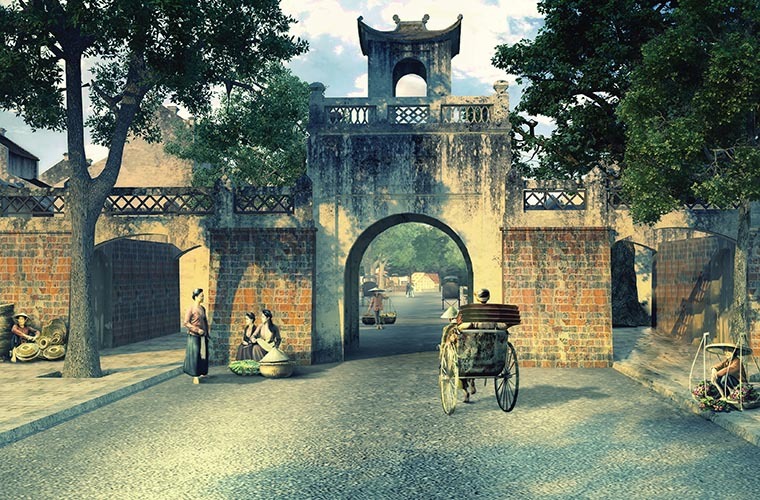 One of the famous historical destinations for travellers is Ba Dinh Square along with Ho Chi Minh’s Mausoleum. The museum which is his final resting place recorded many stories about Ho Chi Minh’s life. 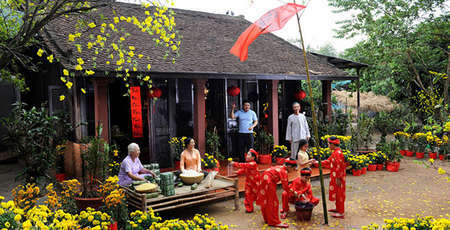 Besides, One-Pillar Pagoda – an icon of Hanoi, constructed in 1049 resembles a lotus blossom. 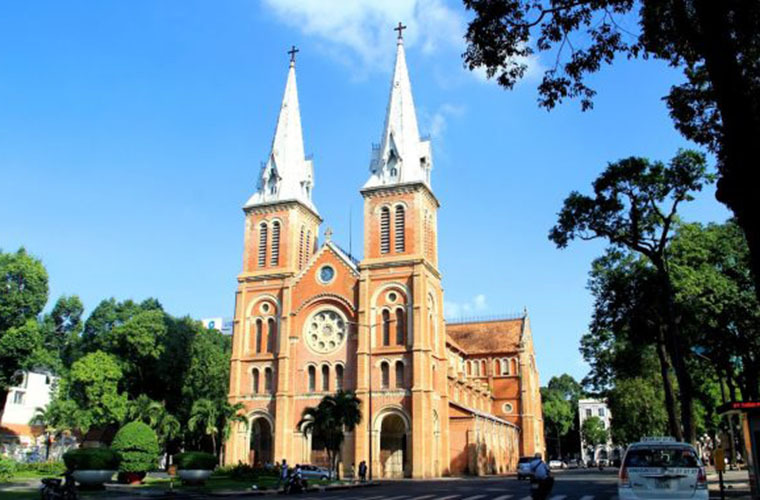 What is more, you can take a time to drive through Colonial Hanoi, seeing the Opera House, Hanoi Old Quarter, Ho Chi Minh Museum and other local sights. How to spend a day in Hanoi? 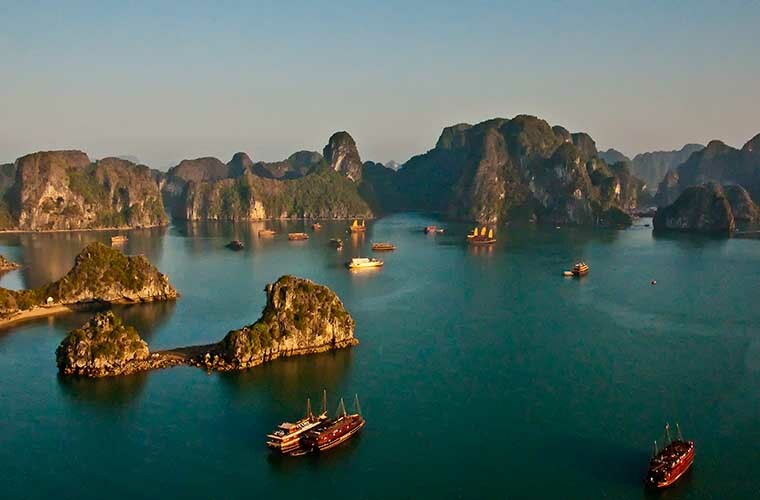 Thanks to the clear division of weather, visitors can visit Ha Long Bay at any time. Nonetheless, the summertime is certainly the best time to visit this world heritage. In particular, April is the best timing for a relaxing beach break. Traveling to Co To island, tourist can see beautiful coral reefs and take a boat to the island or have the sunbathing here. 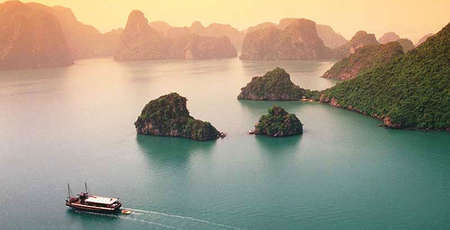 Co To Island almost holds the wild appearance seen in the busy atmosphere of Ha Long tourism. 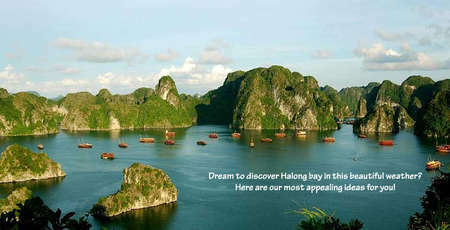 It is the most beautiful island among 1,969 islands in Ha Long Bay. In addition, this is also the largest artificial beach in Vietnam. Cozy beach with white sand dune is an ideal place to have fun and participate in exciting water sports. Sapa is a unique tourist destination from other attractions. If you have to say the best time to travel to Sapa, it will be difficult to give accurate answers as Sa Pa is beautiful all the year round. Especially, in every April, Sapa is relatively sunny during daylight and quite cool at night. And, April every year is the perfect period to experience an attractive Sapa. The climate in Sapa, Lao Cai that month is relatively sunny at day and cold at night, appealing to a large number of visitors. What makes Sapa is more charming is the colourful blossoms as “Hoa Ban”, “Hoa Tam Giác Mạch”. 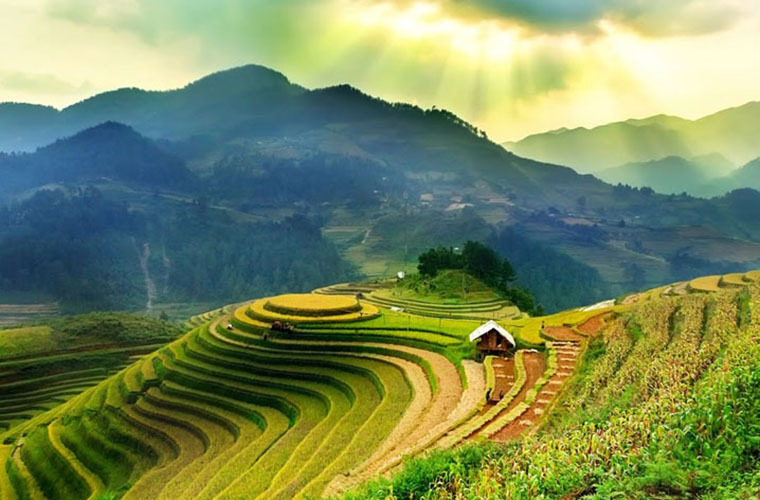 If you ever choose Sapa to be your April destination, you will see the marvellous pictures of terraced fields stretching from deep valleys to the hills top in the middle of the sky. You might come across a very peaceful picture of rice terraced fields stretching from deep valleys to the hills top in the middle of the sky. What is more interesting is the picture of indigenous people bringing water from the streams to the fields. If you want to have a walk in a fairyland with thousands of cabbage white butterflies flying in line, Cuc Phuong national park is an absolutely perfect destination for April and May. In case you are a fan of Asian culture and the festive atmosphere, April is considered as the most suitable month to visit Hue. A part of the Hue Festival the hot-air balloon festival will bring together colourful balloons from many countries in the world such as India, Japan, Malaysia, the Netherlands, the Philippines, South Korea, Thailand, the UK and Vietnam. Hue turns into the summer in that month, so the temperature gradually increased a little bit. During this period, sea tourism and eco-tourism are ideal picks for travellers. The guests can come to Lang Co beach to soak in the cool water and enjoy the scenery. 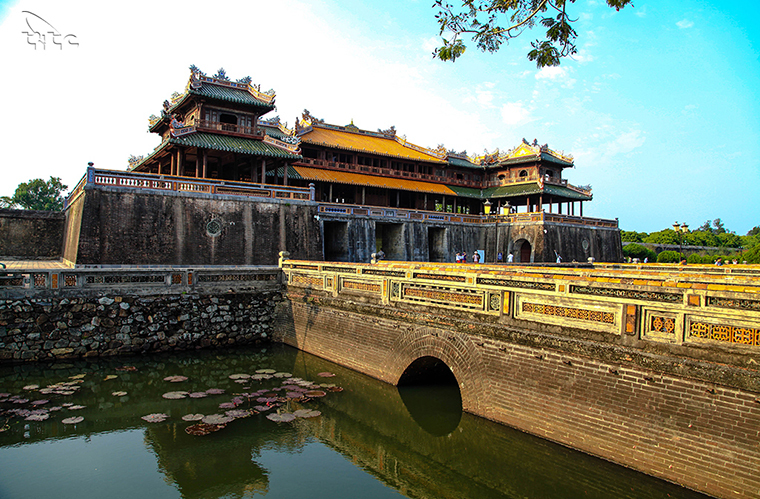 Besides, Hue will surely bring you the wonderful experience of discovering historical culture and architecture such as Imperial Citadel & Thien Mu pagoda where reflex the magnificent past along with stonework and pavilions. The weather in Da Nang is quite good in Vietnam travel in April while the average temperature is 27-29 °C. This is an ideal time for travelers to make a trip to this beautiful city. Never choose the rainy season from August to December each year. 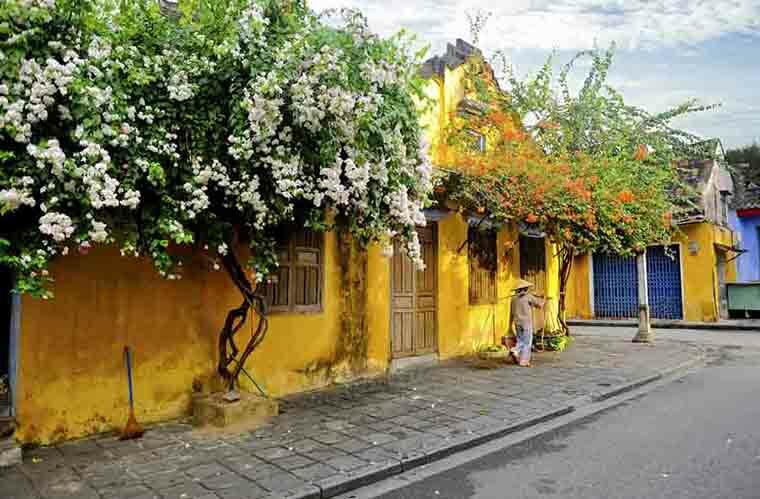 Known as a UNESCO World Heritage Site for its well-preserved highlights, including the ancient town, dwellings, temples and pagoda, Hoi An is a great getaway for anyone loves the serenity atmosphere. Ho Chi Minh City or so-called Sai Gon has two distinct seasons: the rainy season from May to November, dry season from December to April. Conversely, we do not recommend visiting Ho Chi Minh City that season because Saigon is famous for the sudden rains, which may bother tourists. 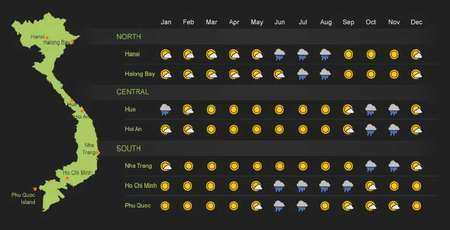 In addition, Ho Chi Minh City tops best places in Vietnam in April to visit due to full of sunshine. It is estimated that there are 270 hours of sunshine per month, the average temperature of 27 ° C, highest up to 40 ° C but not as harsh as other places. >>> Here aretop well-known destinations for your Ho Chi Minh Citytrip in April.